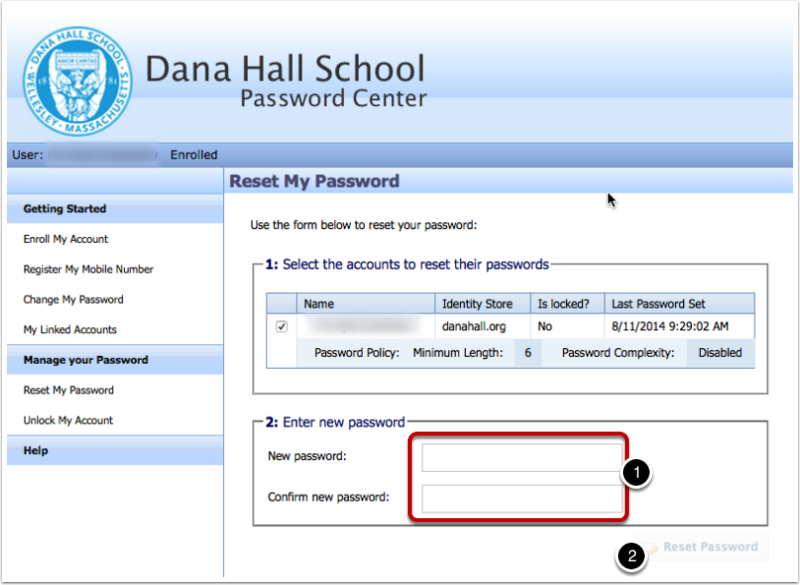 This section only applies if you have successfully enrolled your DanaConnect account. 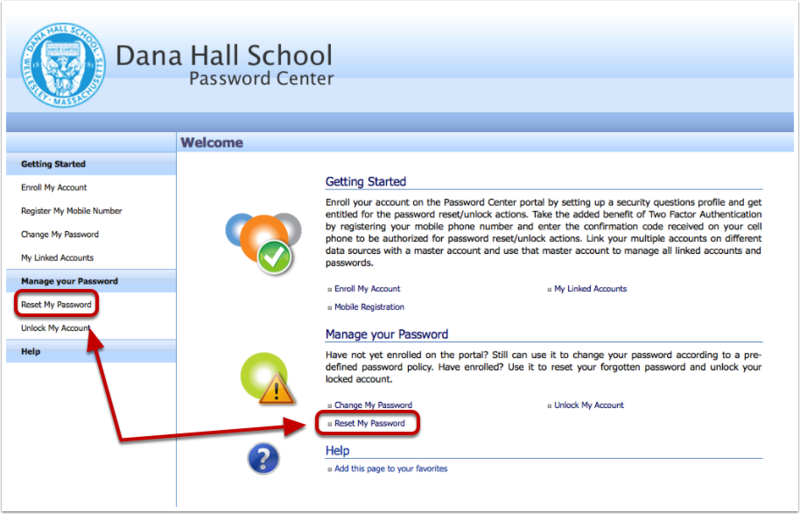 Click on: Reset My Password. 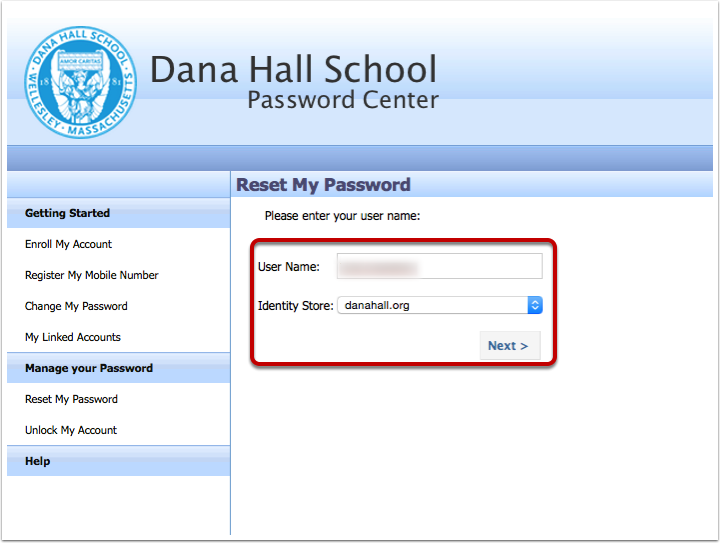 Ensure the Identity Store, danahall.org, is selected. 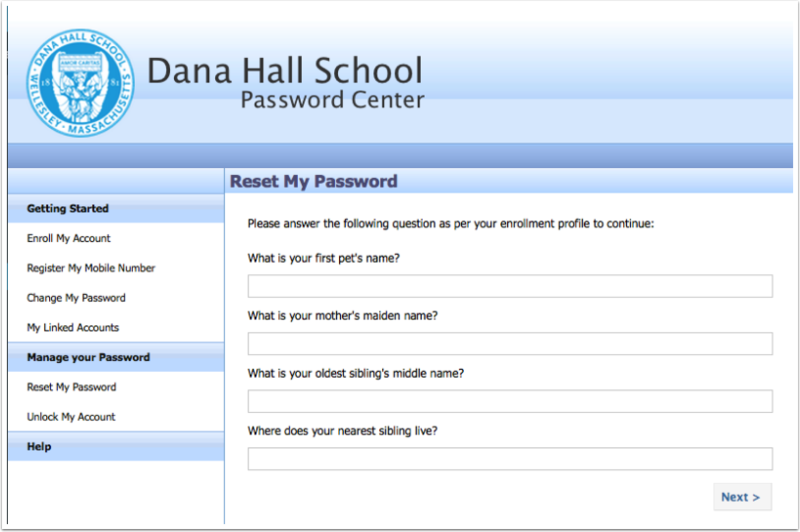 You’ll be prompted to respond to the security questions you completed when you enrolled your account. Enter your responses for each. 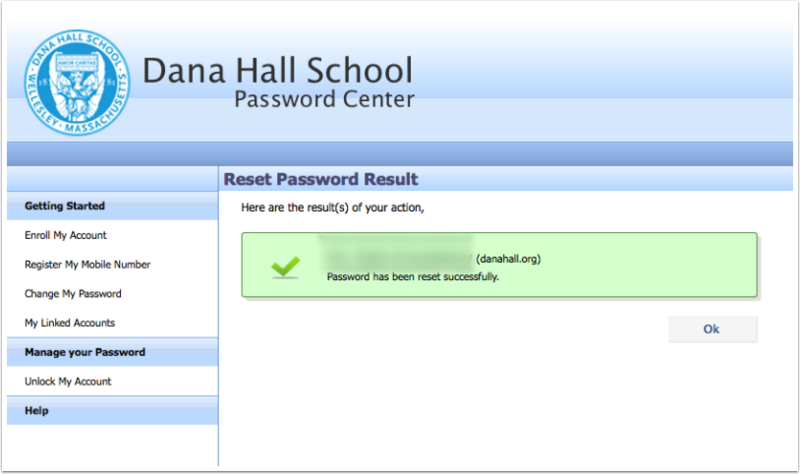 After your password is reset, you will see the ‘Reset Password Result’ page confirming that your password was successfully changed.